Life Changing Management Hack for Your Classroom iPads | The Techie Teacher® . I remember my biggest frustration as a classroom teacher was not being able to install apps on my classroom iPads as I needed them. The process to get an ACADEMIC app installed was ridiculous and it took weeks. 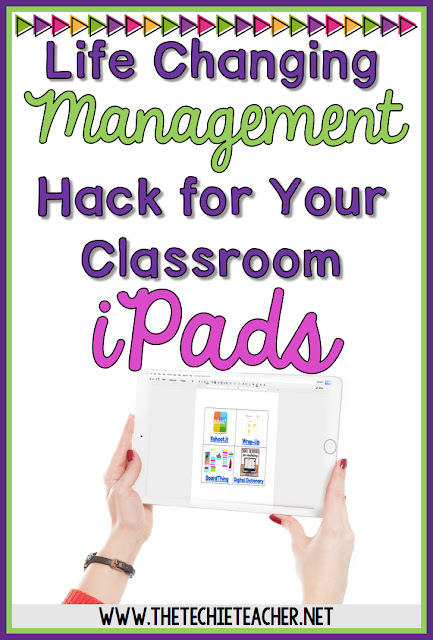 Luckily times are changing and more and more schools are adopting better iPad management systems that will send out apps to multiple devices with a press of a button. However, how quickly are the iPad managers able to push out your requests? This won't help with actual APPS. 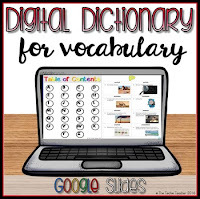 However, you will see how it is a quick way to push out websites, web tools, and Google files to your students in a matter of seconds. What is SO nice about this little management trick is that I can constantly change and update this doc on my laptop without having to touch a single iPad. You can update whenever YOU want. I suggest having this doc bookmarked on Chrome if you think you might use it often. On the doc above I chose to insert a table along with a few activities to show YOU an example of what you could add to YOUR doc. If I am working with younger students, less is more. For instance, if I was working with a kindergarten class, most likely I would only have one or two items on my doc. What you see above might work best with 2nd grade and up. Students can identify the activity by the picture and the word. You can see that I inserted a links= for the popular student response system, KaHoot. KaHoot is a web-based tool that works beautifully on the iPads. Note: For some reason images that are hyperlinked do not work as well as text that is linked. That is why I hyperlinked the text. It might work better if you have the Google Doc app installed. Student response systems are always a great tool to use to start out a lesson to check for background knowledge and/or end a lesson to check for understanding. I also added my Emoji Wrap-Up Google form (read more about it HERE and grab a free copy). Google Forms work beautifully on the iPad and you don't even need the Forms apps for student use! 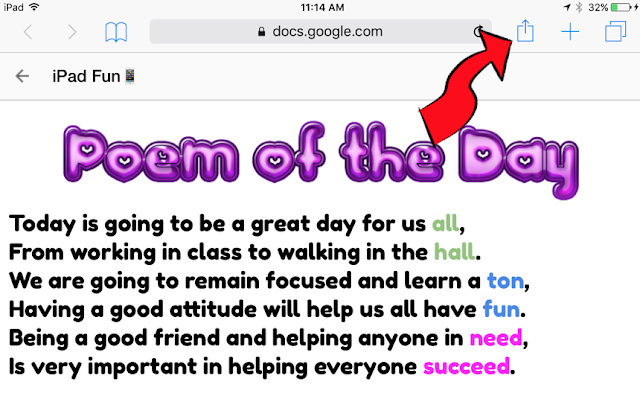 Another way I have used this bookmarked Google Doc other than linking in websites and web tools is adding a poem or text of the day for students to read for fluency practice. They tap the app and BOOM, there is the text I want them to practice reading! 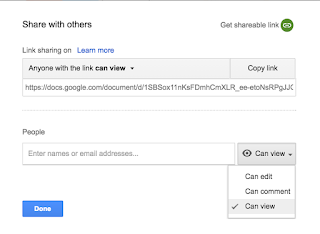 I have even been known to link in Google Folders, Dropbox folders as well as Comemories' links filled with images I want students to save to their camera roll. 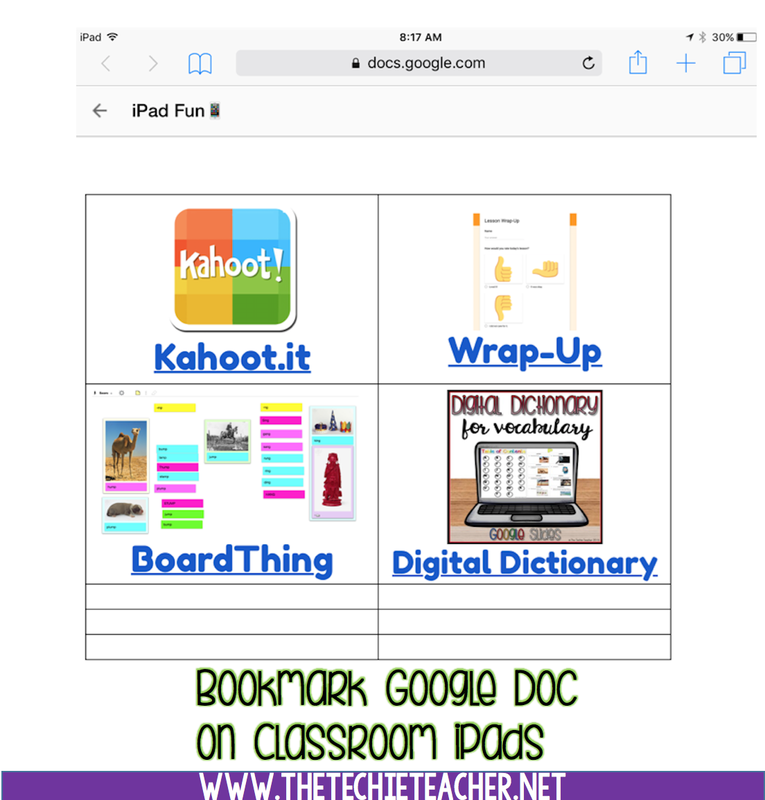 There is A LOT you can do with this bookmarked Google Doc believe it or not! 3. 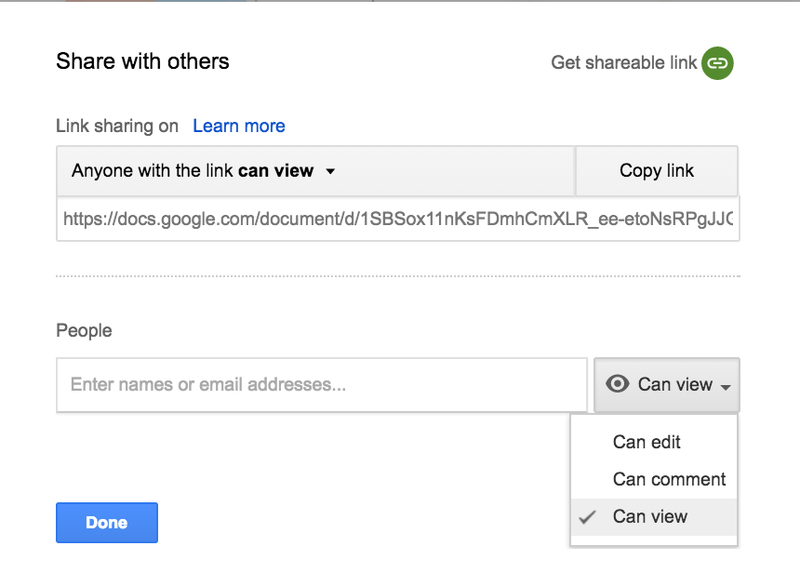 Change the Share settings by clicking on the blue SHARE button in the upper right hand corner. Set it to Anyone with a link can view. Click Done. 4. Turn the url of your Google Doc into a QR Code. The absolute QUICKEST way to do this is to install the Chrome extension Goo.gl. Read more about this HERE. 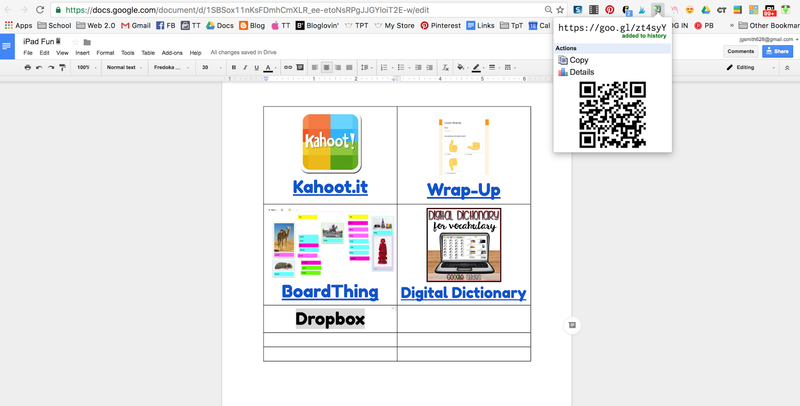 Have your Google Doc on your screen, click the Goo.gl extension that is installed and then click on QR Code. Grab your iPads and scan the QR Code straight from your laptop screen with a QR Scanner App (my favorite is i-nigma). You do NOT have to print the QR code for it to work. Click Add and then you are finished! Like I said, this "hack" isn't a way around installing and using APPS. 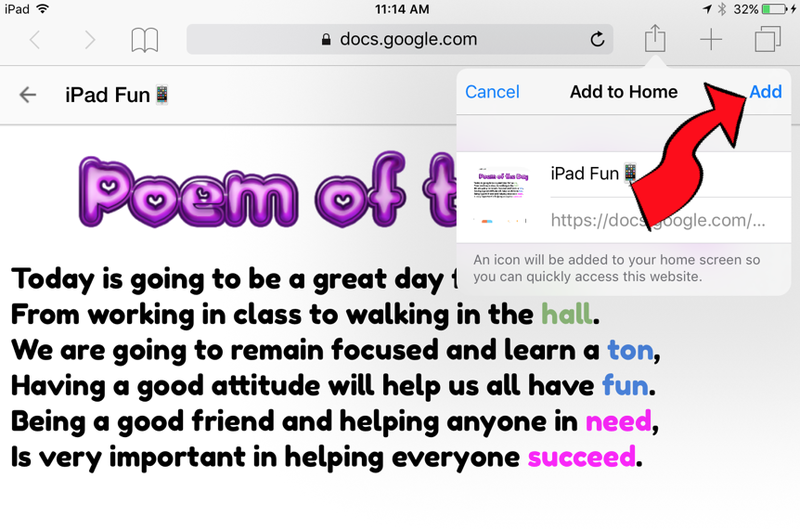 However, it has helped me push out a variety of activities for students without having to touch every single iPad. How else could we use these bookmarked Google Docs in our classrooms? Leave any ideas in the comments below! This is so good for Kahoot. Thanks for this guide. On iPads, I can easily stop my mischievous students from going on any Kahoot hack websites and flooding my kahoots. Hey, thank you a lot for writing this detailed description of how to avoid such problems with classroom's IPads. It is really beneficial and informative. Nowadays a lot of schools are using such technologies and it is understandable as even during a lesson you can demonstrate your students a Questia online library for example. But from the other side, support of such devices is another side of a coin. These IPads need an everyday assistance, a careful using, a lot of passwords and so on and so forth. And these factors could make some problems. 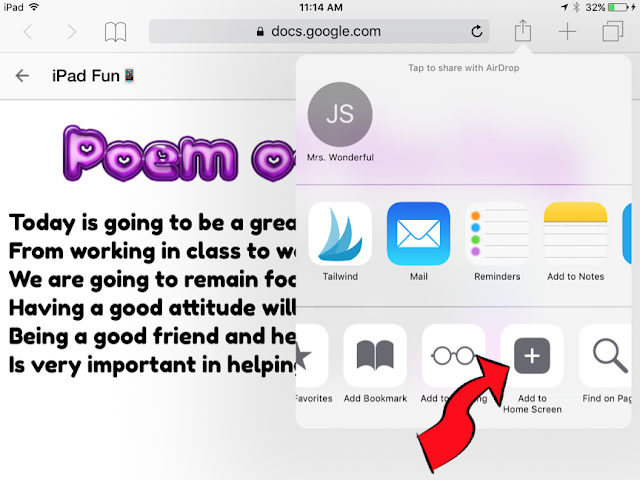 Everyone hopes that soon everything will be OK.
I’m not sure when Apple Classroom was developed and I I see this was written a little while back, but that is the greatest management tool I have. Only the teacher has an app and the students connect through a Bluetooth connection. They will enter a 4 digit code and if they select always connect, then they are automatically connected when they walk in. I have 3 classes so I open the class that is coming to me and instantly see them. I can open apps for them, I can lock them, I can create groups within the app. If I do stations and have a tech center then I can lock all others and unlock the group as they rotate to that station. I can open apps that we all have. I can even control the website I want them on. I have opened safari on their devices and clicked my bookmarked Math dictionary website and then tell them to click on the “sharrow” and add it to their bookmarks and they have access to it for later use as needed. I have a small thumbnail of all screens and it shows what app they are on. I can make sure they are on what they should be. If I click an individual screen, it’s like I have their device in my hand. If I see them click on another app, I can simply say we are to be working on....and they immediately go to what they should be. If I open their screen up they immediately see that I have it open. Any issues are extremely minor for me. I have upper middle schoolers and they love to be on news apps, games, and YouTube. The sheer fact that they know I can view anything at anytime is the best deterrent. If they try to turn off Bluetooth then it shows offline and I know that as well and it will be dealt with accordingly. When class is over, you click End Class and it give you a list of all programs that were used and how much time in each. It’s an awesome tool! YEEEES!!! Apple Classroom is absolutely FANTASTIC! So glad you are enjoying it :) Yes, this post was written before Apple Classroom was developed. Thank you for sharing!